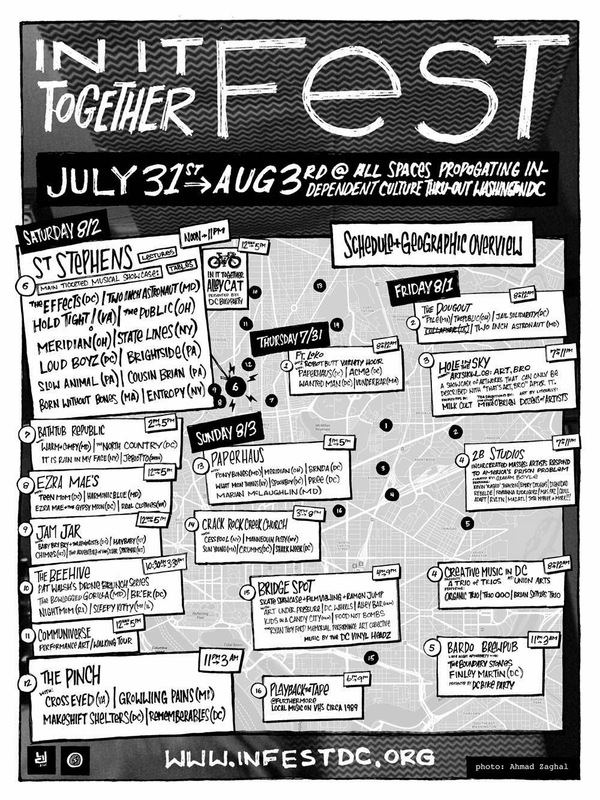 Washington DC's first ever In It Together Fest﻿starts TODAY, THURSDAY 7/31 to SUNDAY 8/3. If you're in the area you should check out all the sick events happening throughout the city. We've put a lot of hard work into making this weekend chock-full of awesome music, art, cycling, activism and other ways to encourage creativity, highlight the under-appreciated, and bring about positive change to our community, so I hope you can make it out to enjoy the fun! 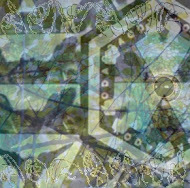 In It Together Fest is a four-day celebration of underground art, music, and activism at all venues propagating independent culture throughout the District of Columbia. Empowered by the hope to build a community amongst disparate DIY spaces, we've come together to foster participation, encourage new ideas, and highlight the under-appreciated. St. Stephen's has been hosting DIY punk shows for almost three decades now and is a respected space for progressive thought. Usage of the venue helps to support We Are Family, a charitable organization working to assist seniors, and Positive Force, an activist collective seeking radical social change, personal growth, and youth empowerment. We also have two other organizations that we'd like to help raise awareness for: Casa Ruby is a multicultural non-profit community center working to provide food/shelter/resources in a safe space for everyone in the LGBT community. The Way Home Campaign﻿ is a working to end chronic homelessness by placing individuals in permanent supportive housing and ensuring they have the necessary foundation to remain there.